Look for some of the suffragists’ graves at Woodland Cemetery! Woodland currently holds a variety of tours which are free to the public. To access a full listing of their tours visit their website. 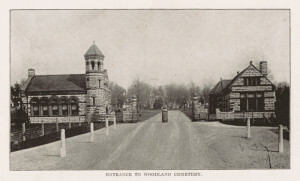 The Women of Woodland Cemetery Tour is offered throughout the year and available upon request. Visitors can follow Woodland Cemetery on Facebook for content and programing focus on the lives of those buried within Woodland or access their app to create a self- guided tour. 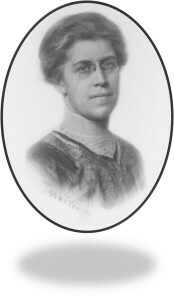 Katharine Wright Haskell (1874 – 1929), sister of the Wright Brothers, was a supporter of women’s rights. In her letters to friends and family, she emphasized the importance of obtaining the vote and equal standing in society. 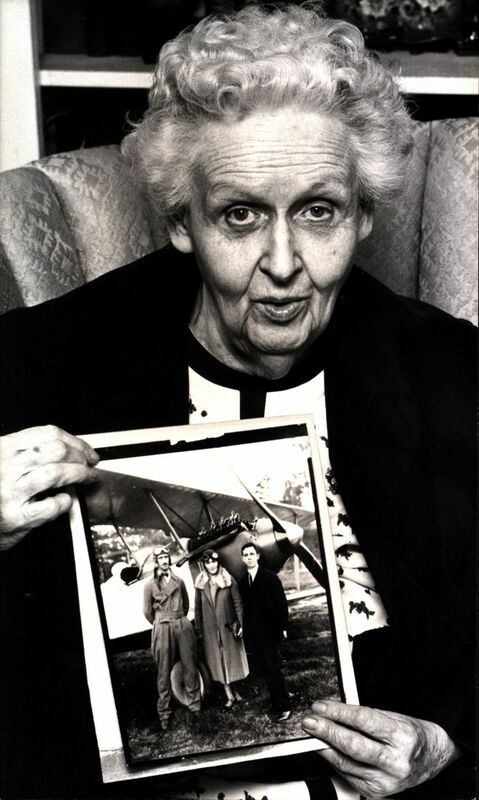 Katherine Kennedy Brown (1891-1986) was a fierce political advocate and an active member of Dayton politics. Through her memberships with multiple women’s clubs and organizations, she spread her views regarding women’s suffrage. Martha McClellan Brown (1802-1916), wife of Rev. William Kennedy Brown, she spoke around the country about the temperance and suffragist movements. Ruth Herr (1897-1985), art teacher for the Dayton and Oakwood schools, promoted equal rights and was a member of the National Women’s Party. Electra C. Doren (1861-1927), suffragist who’s passion for library science propelled the incorporation of the Dewey Decimal System in Dayton Libraries. Special Collections & Archives is home to the Woodland Cemetery Collection, 1841-2010 (MS-414). The collection can viewed by visiting the reading room located on the 4th floor of Dunbar Library. Hours of operation are Monday-Friday from 8:30am-5pm. This entry was posted in SC&A and tagged Emily Reth, MFM-117, MS-146, MS-147, MS-414, MS-91, women's history, women's suffrage, Women's Walking Tour, Woodland Cemetery. Bookmark the permalink.